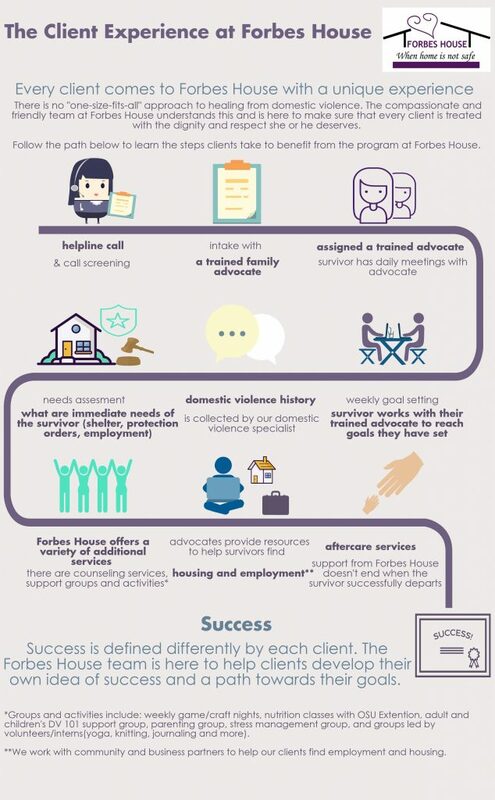 Learn About Forbes House - Our Mission and Approach to Supporting Survivors. Forbes House empowers individuals and families to end the cycle of domestic abuse. To help victims thrive and to foster an end to domestic abuse through education and advocacy. Our approach is a holistic one. Immediate shelter is only a temporary solution to an immediate crisis. Leaving the abusive environment is the first step, but domestic violence survivors often need long-term counseling, housing, legal assistance, and more. We are proud to offer such programs which include advocacy, children’s programs, support groups, community outreach, legal advocacy, and aftercare programs at no charge to our clients. Forbes House also partners with community organizations and businesses to provide additional services to clients.